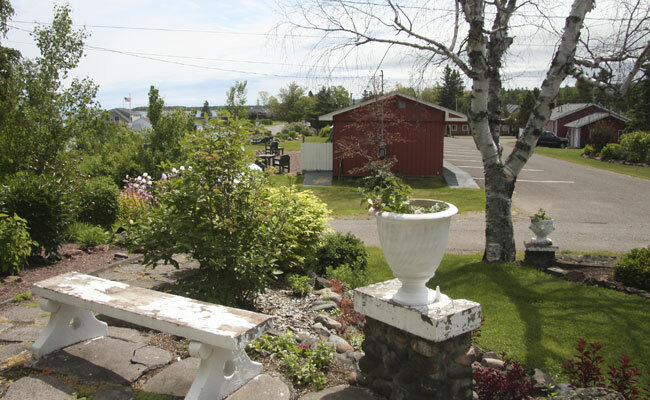 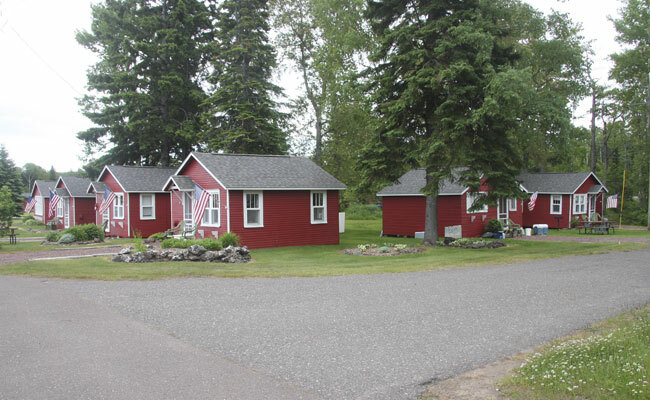 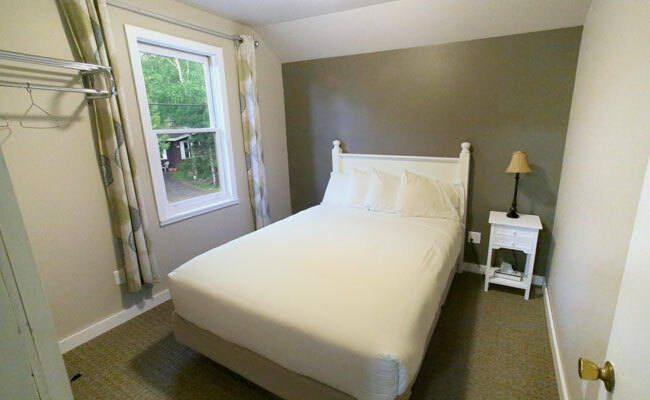 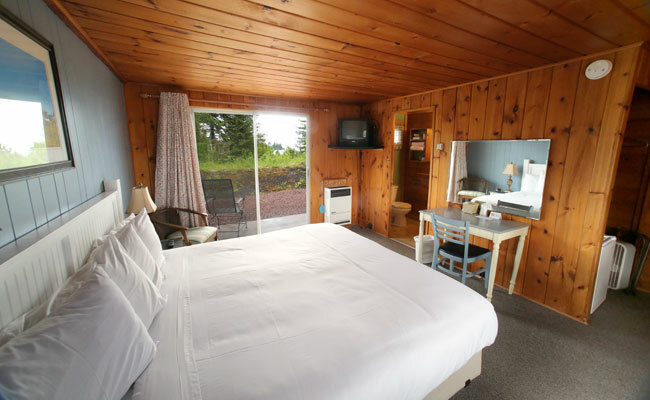 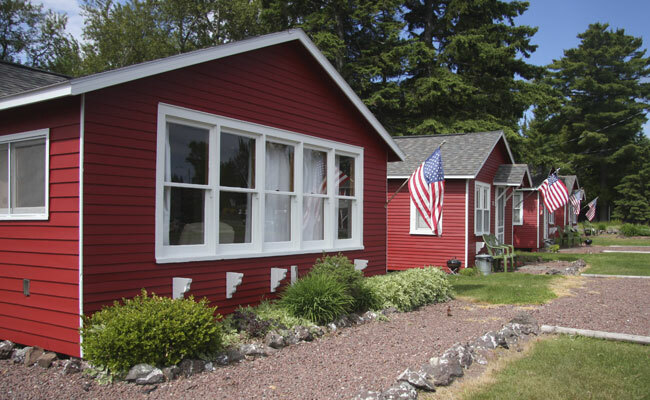 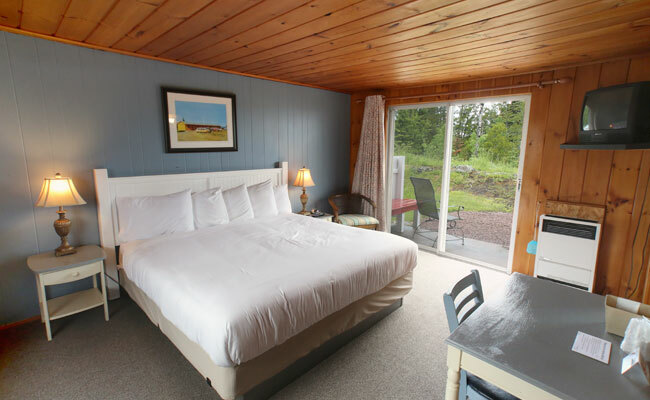 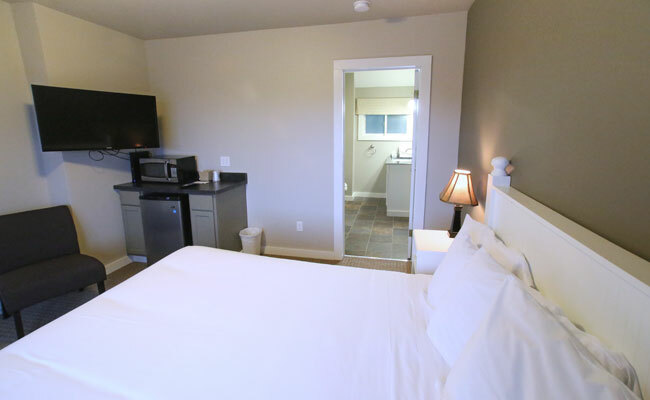 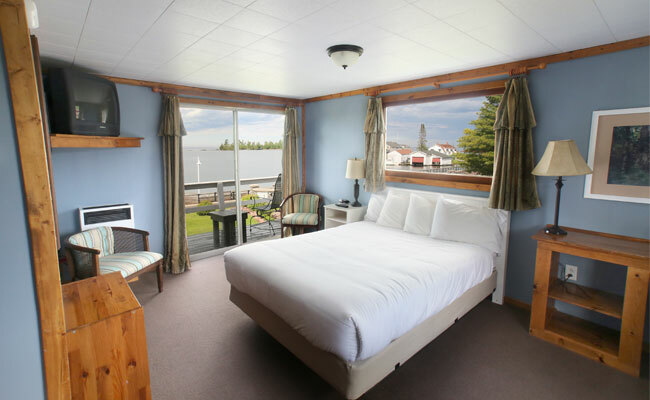 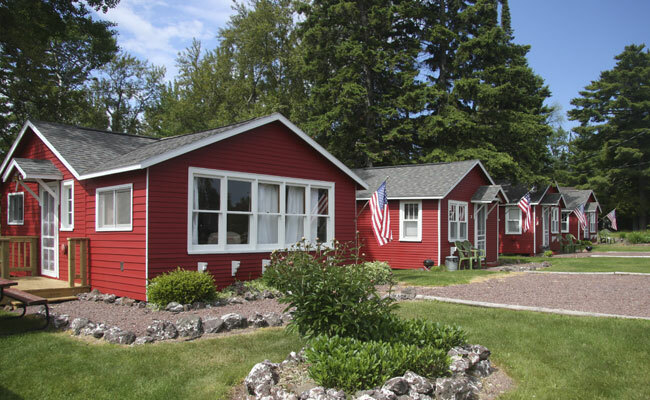 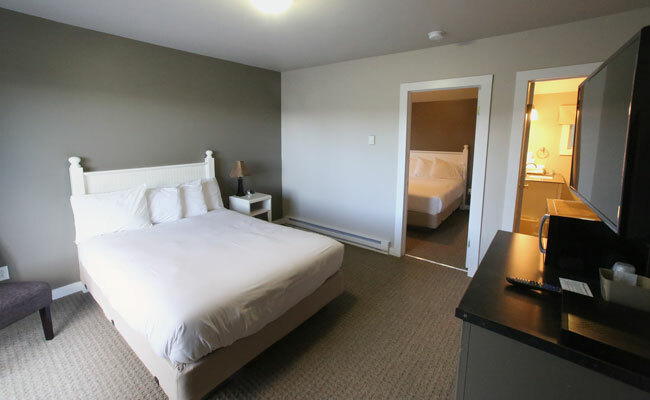 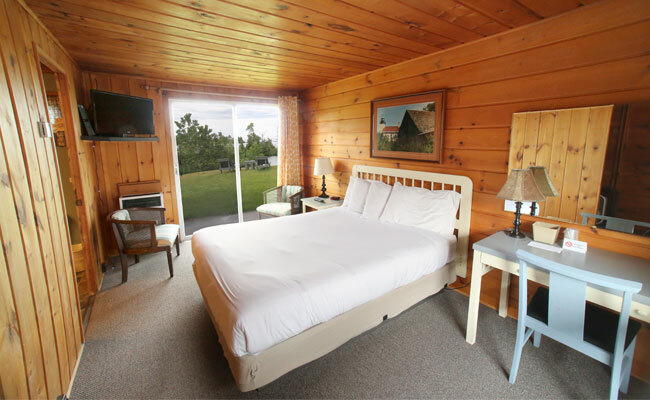 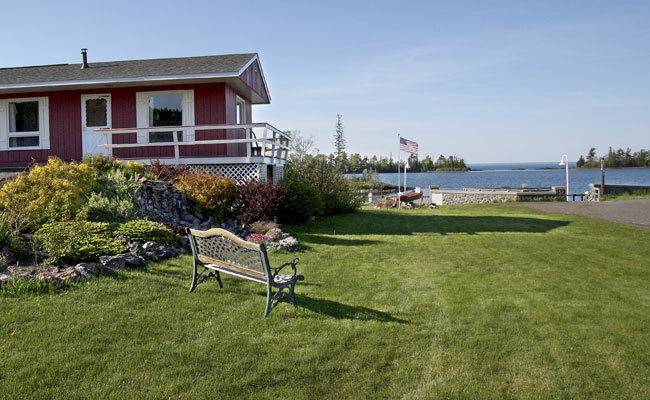 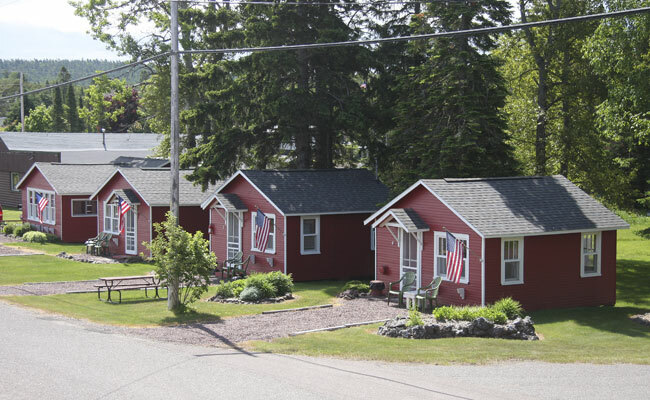 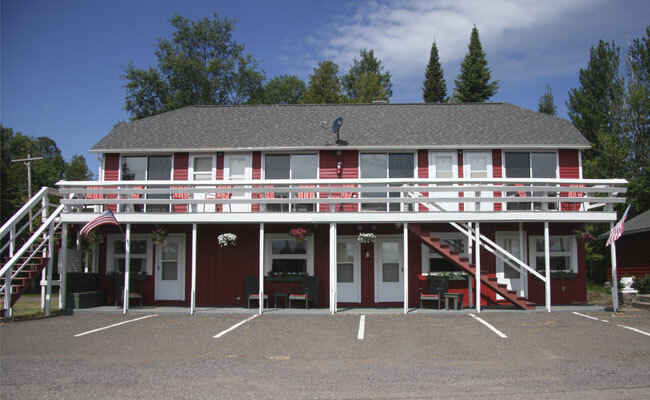 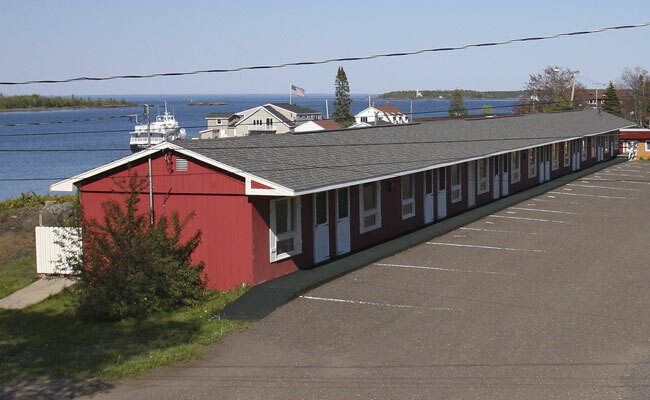 Extremely popular among our guests, the Lakefront Motel Unit offers 13 comfortable rooms with the best views of Copper Harbor. 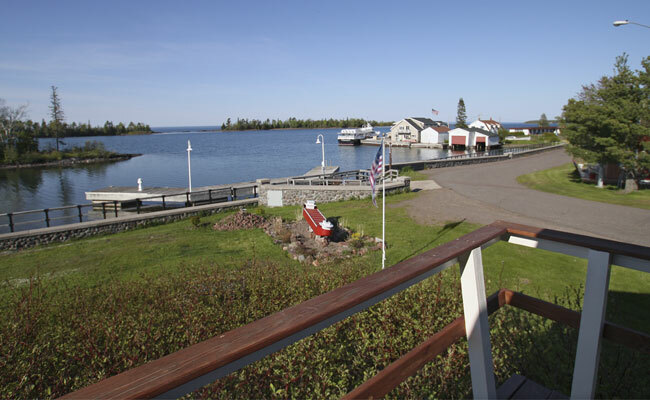 You won't find a better seat to watch the largest Fourth of July fireworks display in the Keweenaw! 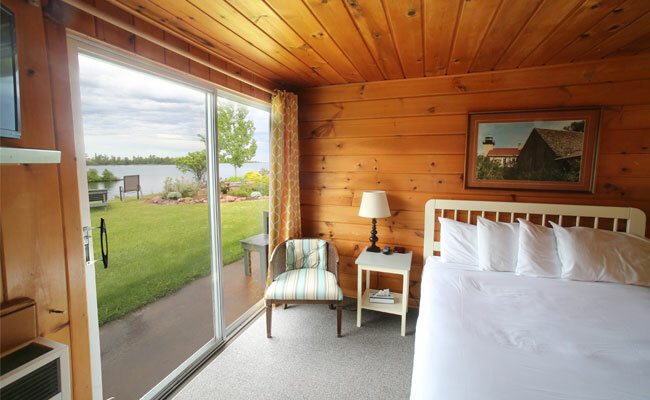 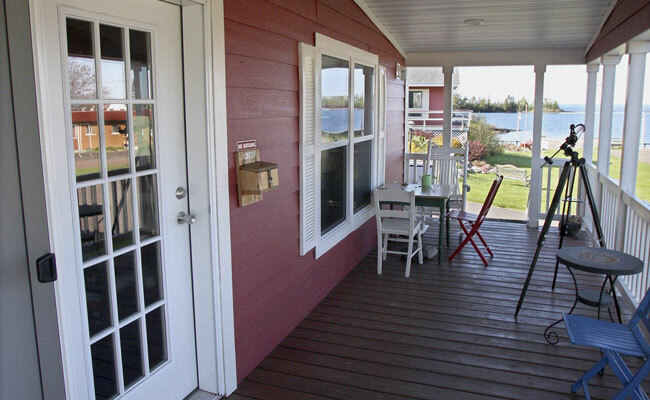 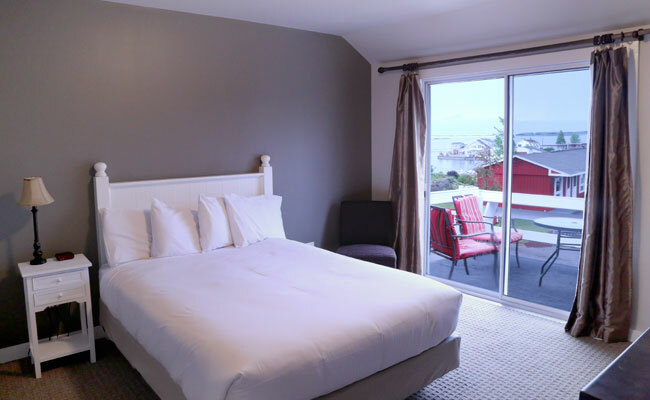 Each room features a lakeside walkout door with immediate access to the waterfront. 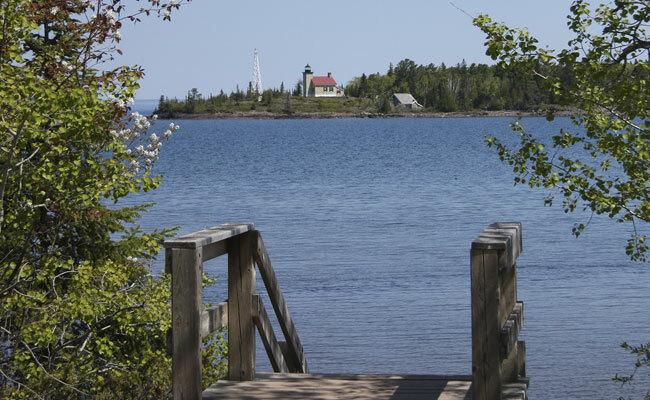 Gift shops and eateries are only a few blocks from the Bella Vista and the Isle Royale Queen ferry service is right around the corner! 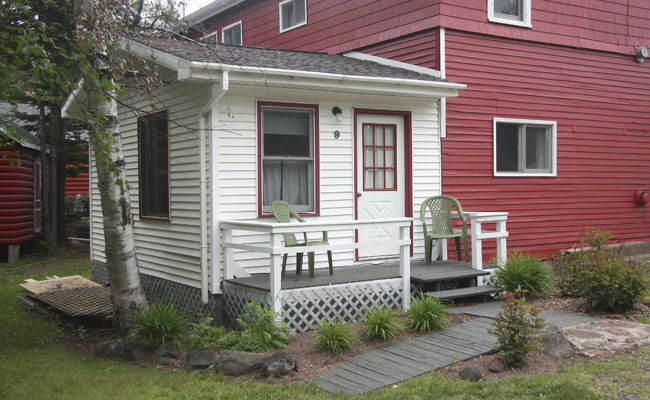 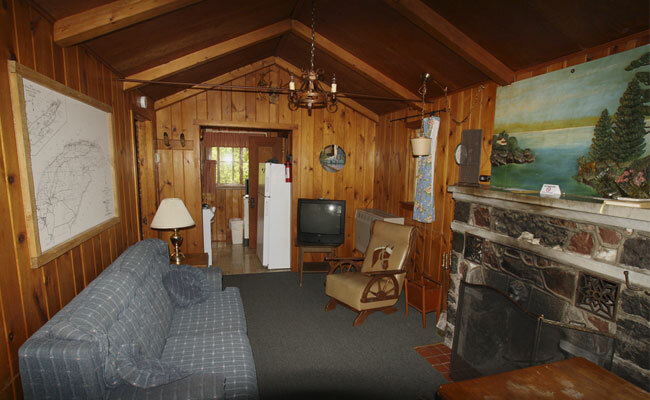 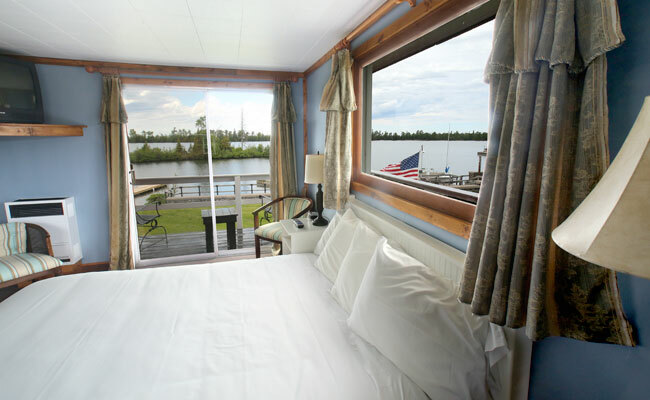 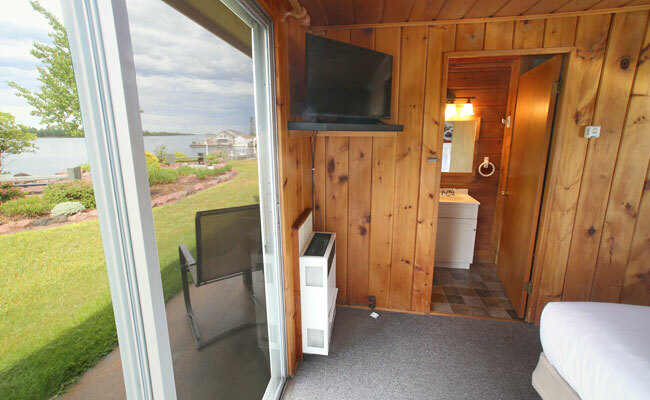 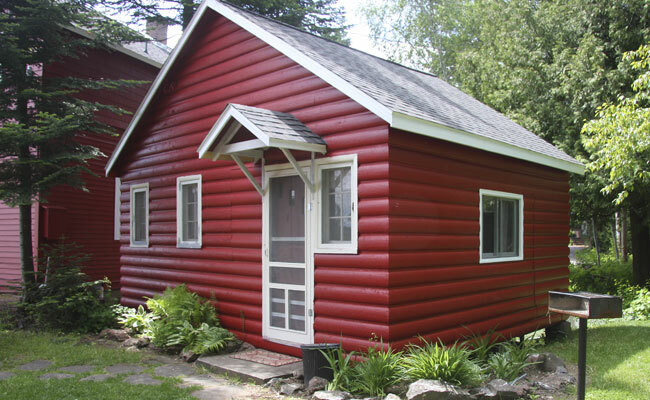 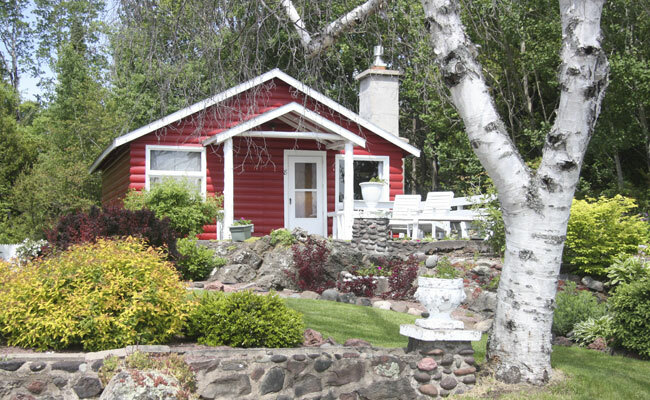 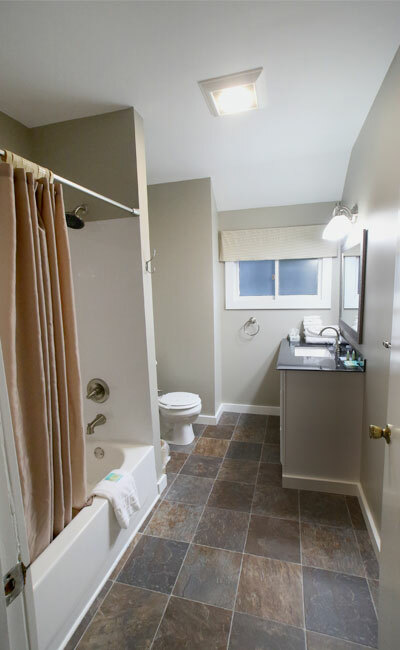 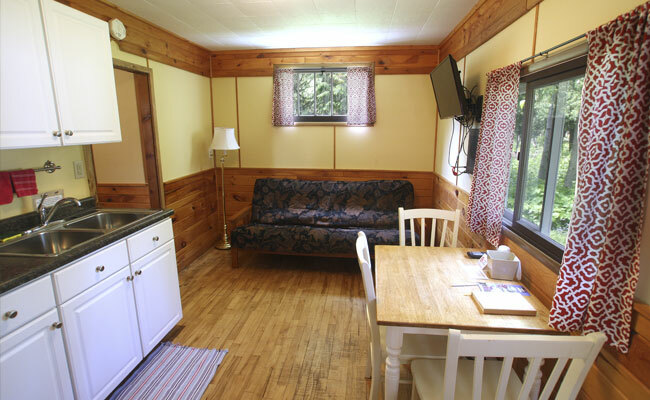 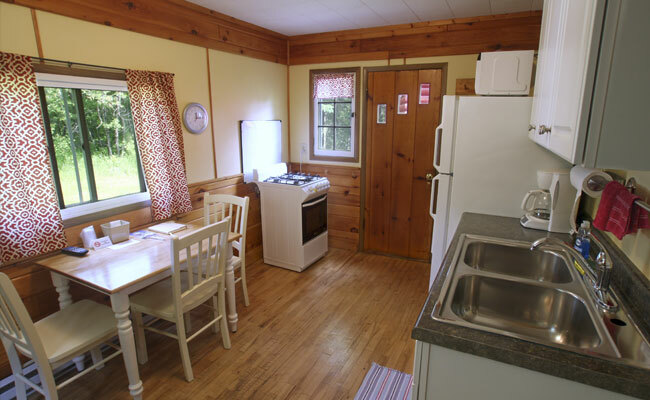 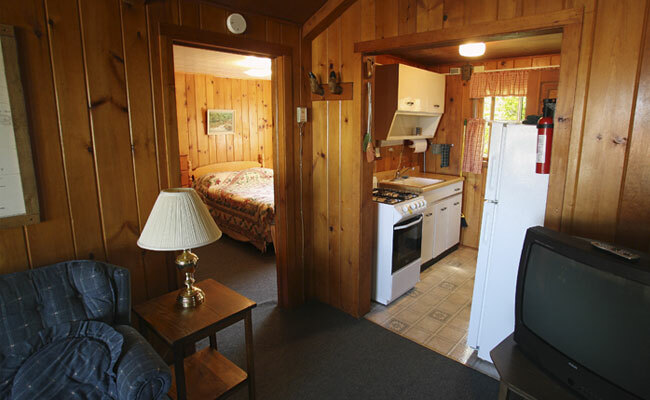 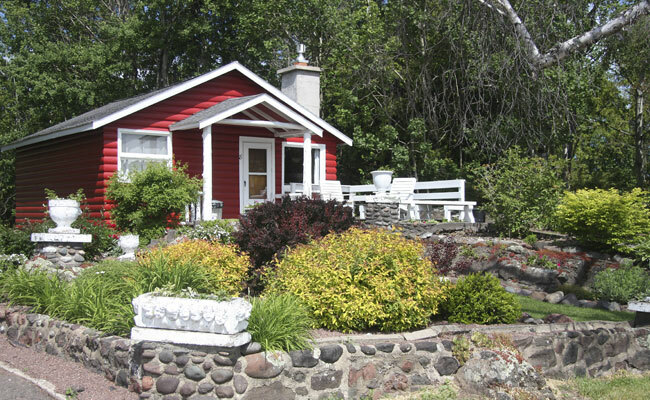 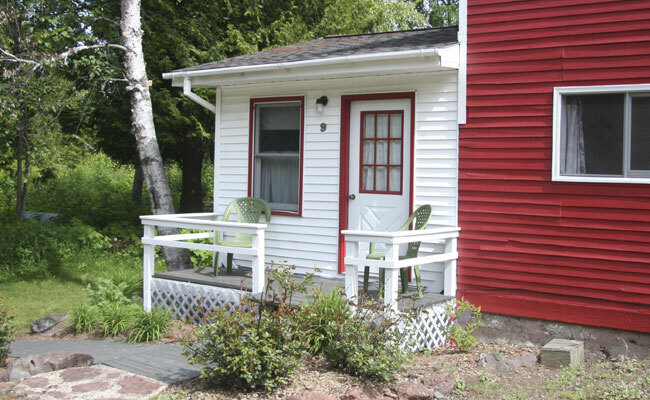 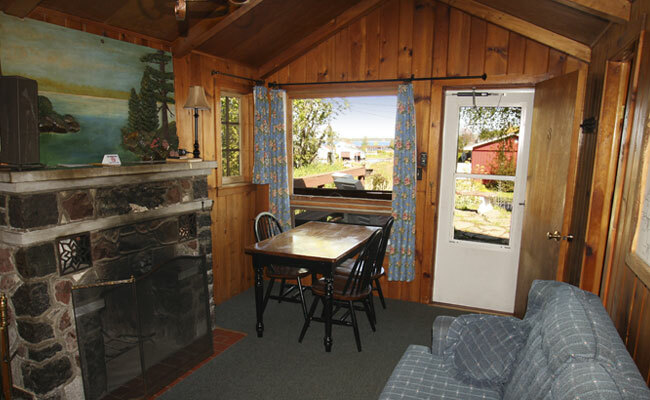 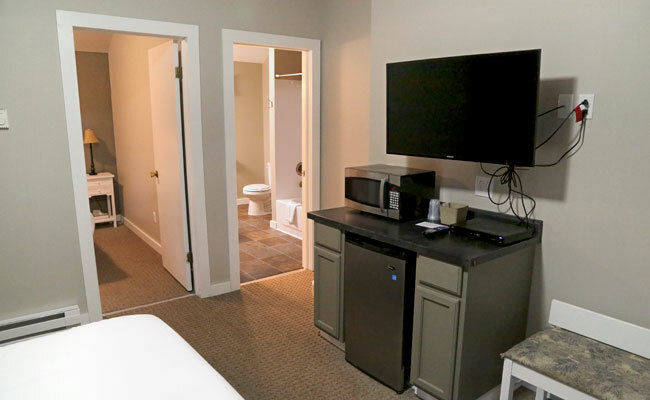 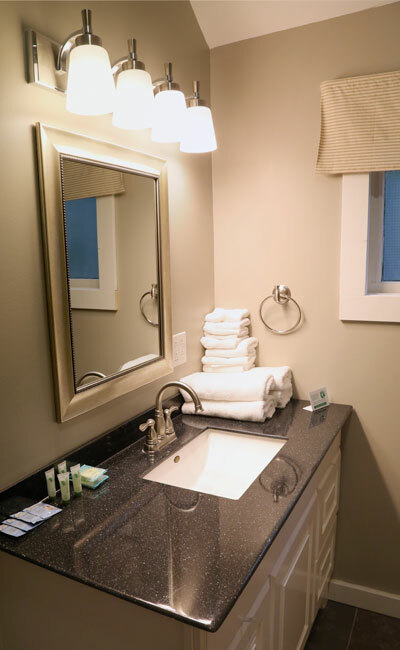 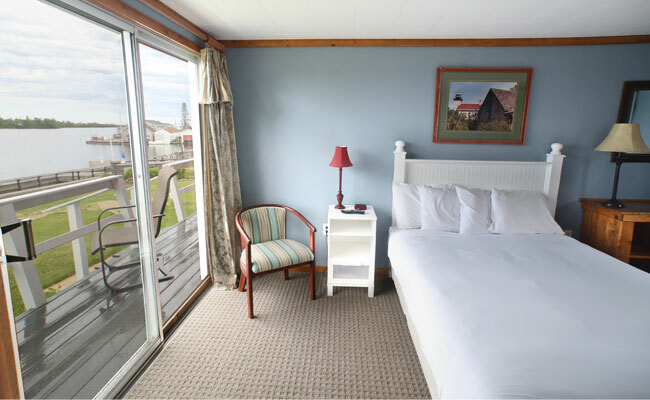 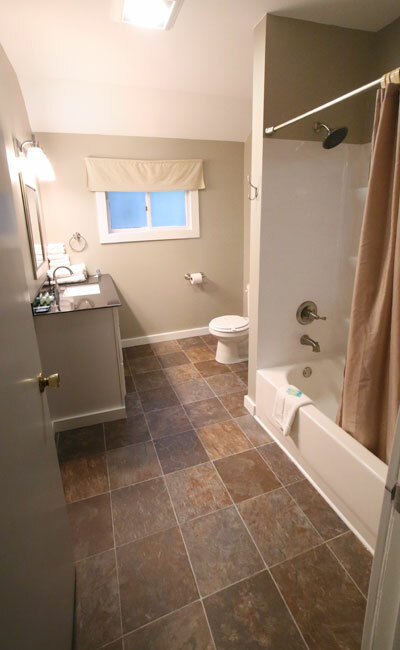 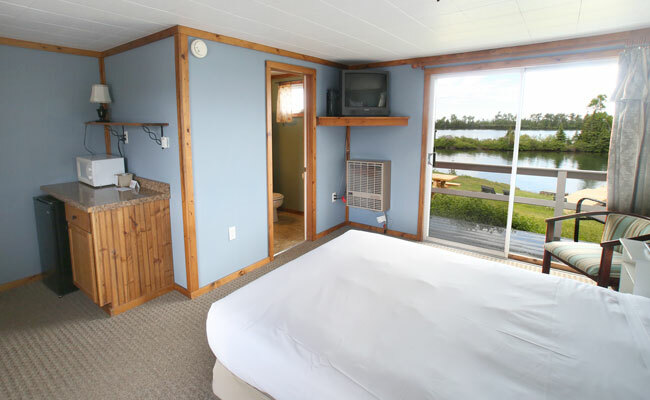 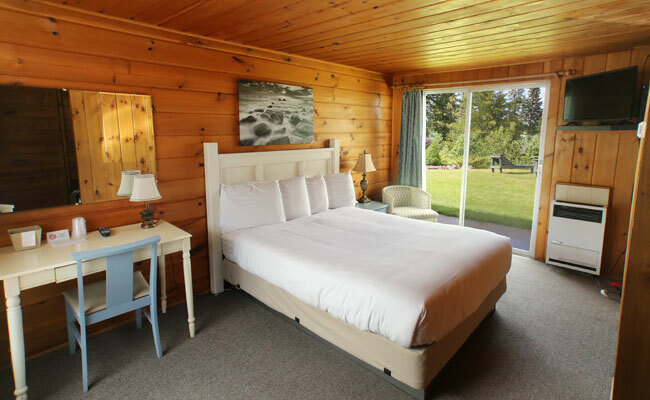 All lakefront rooms include cable television and dedicated parking. 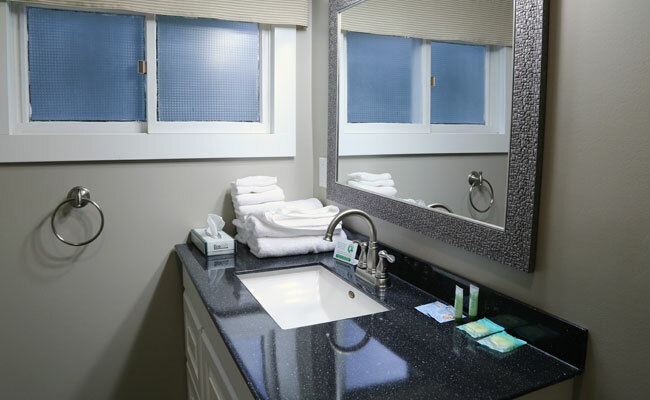 Self-serve ice is available in the motel lobby and complimentary coffee is available each day starting at 6:30 AM. 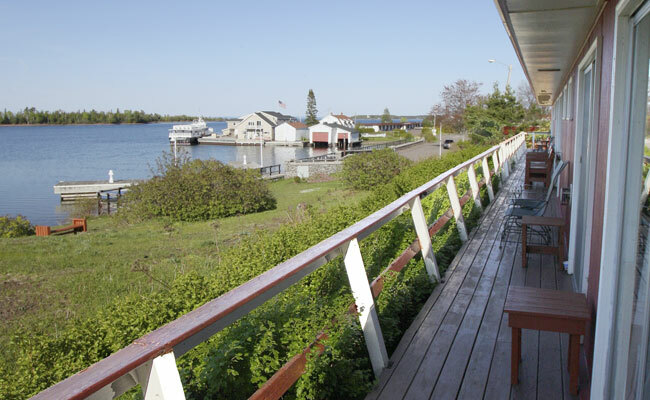 The Bella Vista also offers free use of its canoes for its guests. 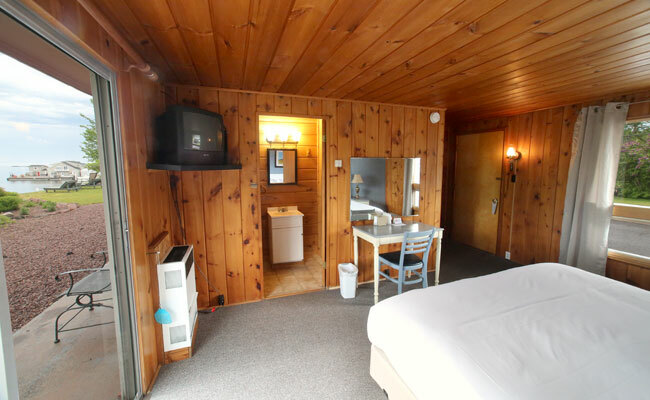 See the motel office for details. 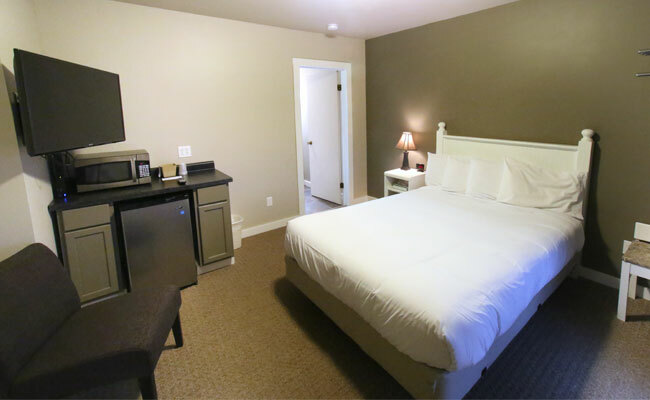 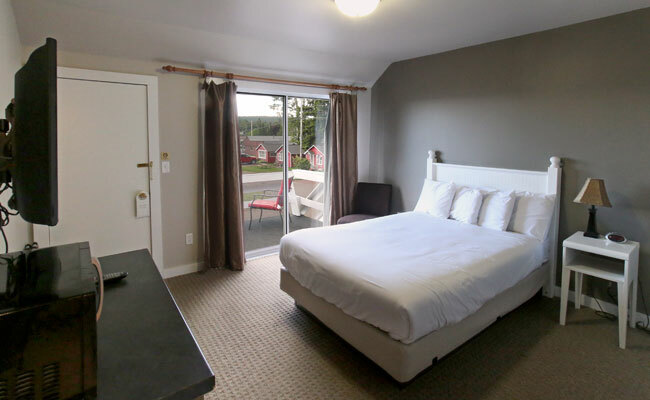 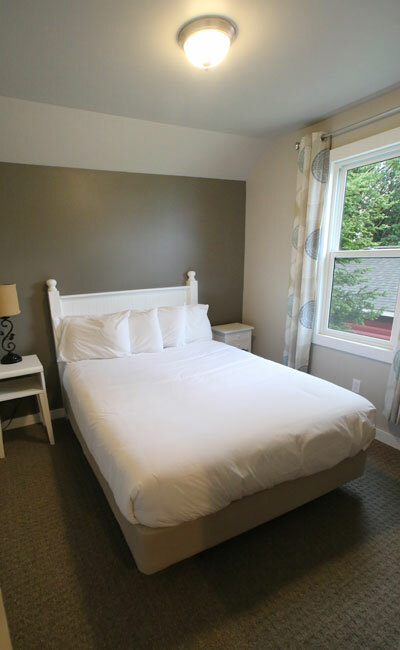 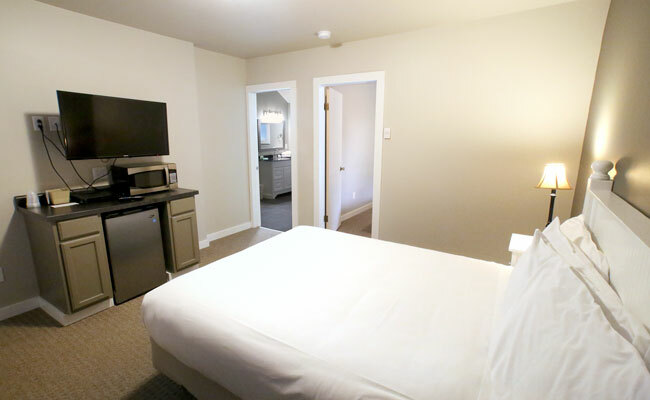 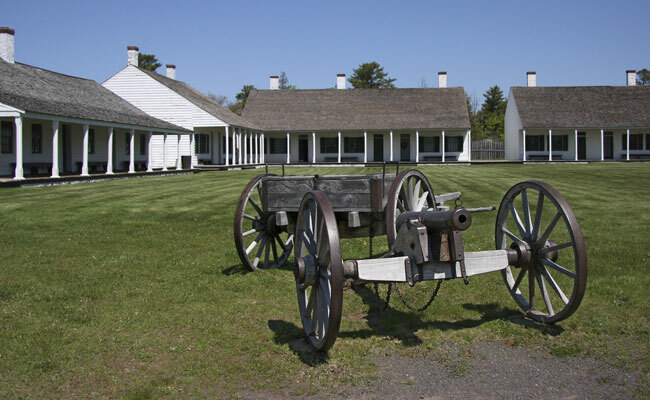 For room sizes and additional information, see our rates page HERE. 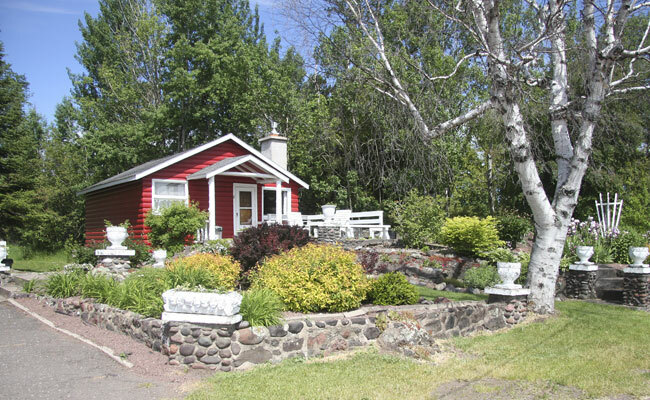 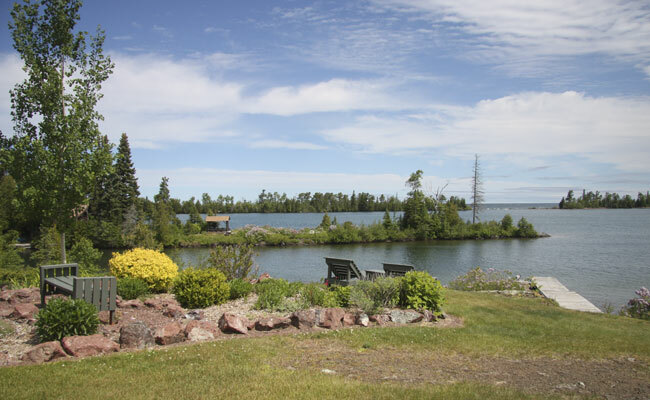 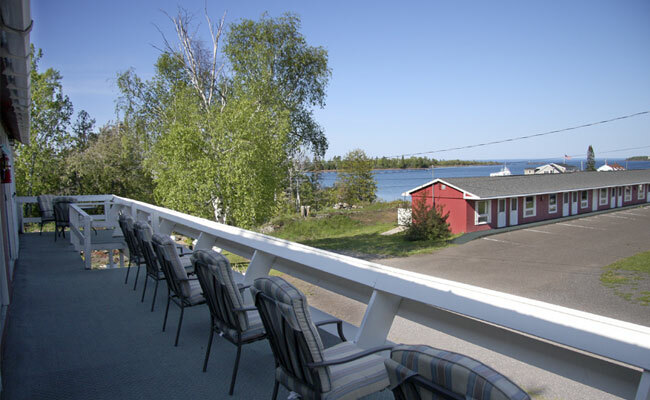 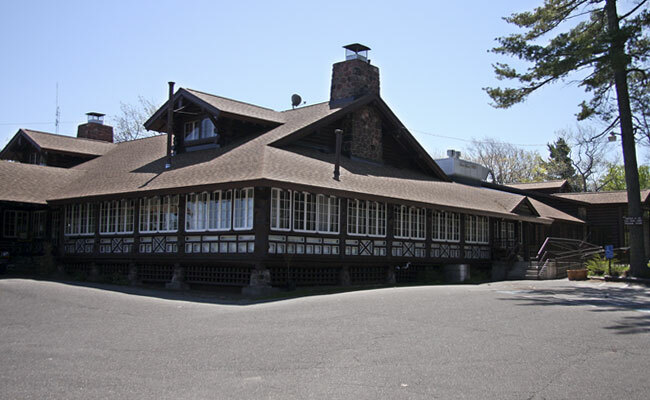 Many of our guests check in to our two-story motel unit in advance of traveling over Lake Superior to Isle Royale - hence the name, Isle Royale House. 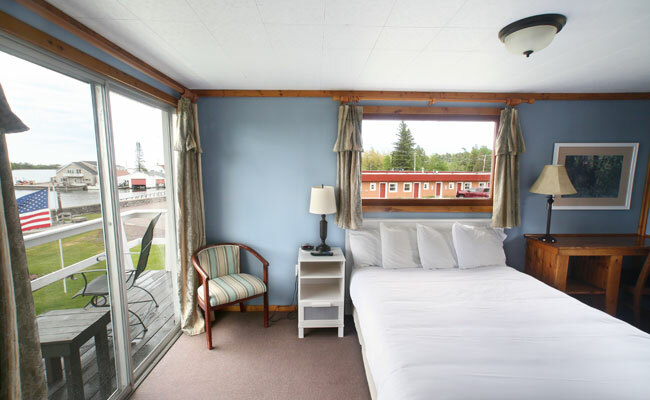 With an elevated view of the Bella Vista grounds and partial views of Copper Harbor, the second floor offers a unique vantage point combined with modern comforts. 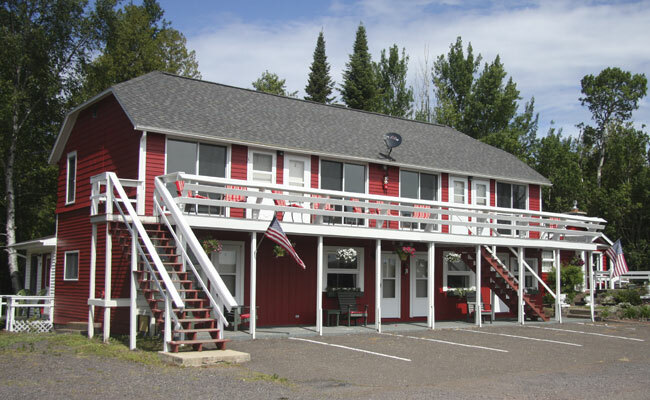 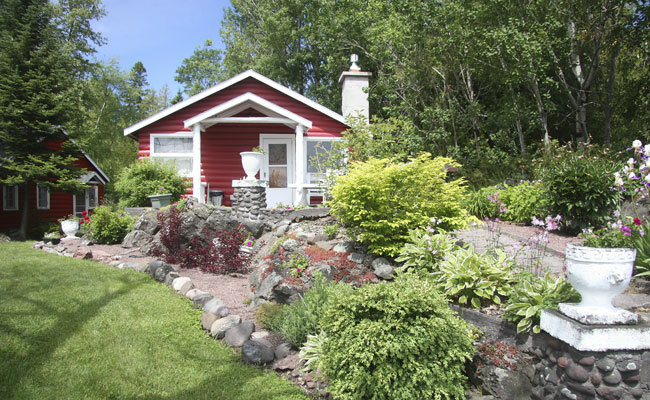 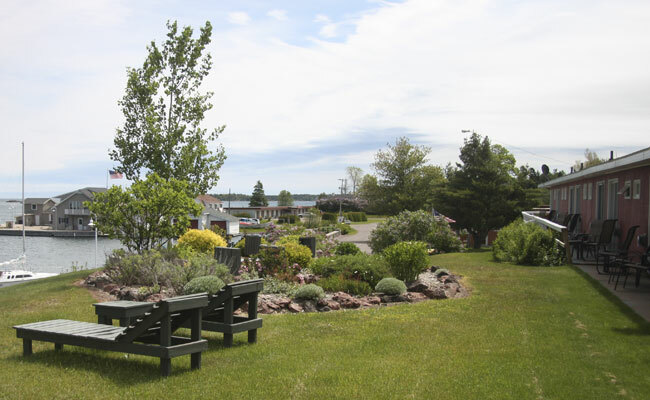 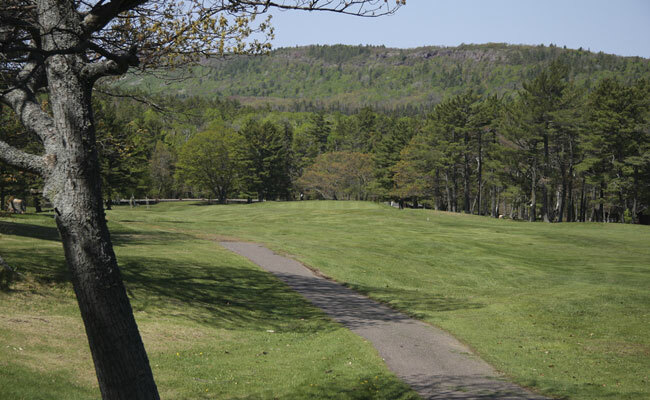 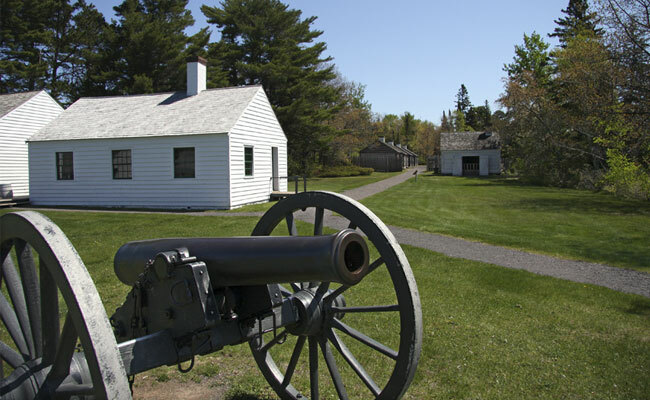 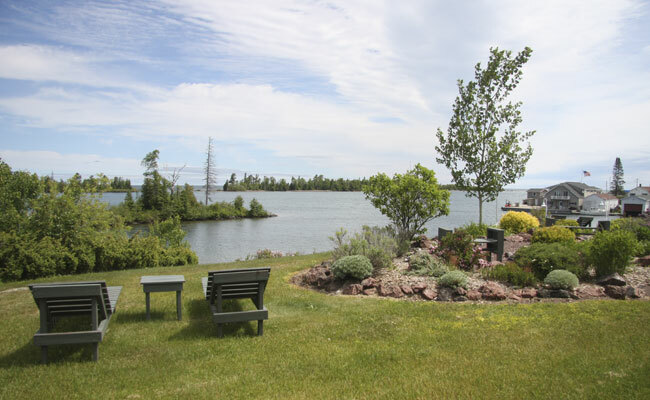 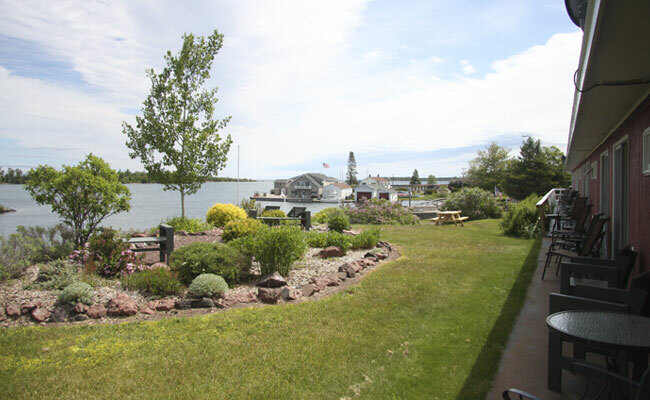 Waterfront access is only a short walk and our central location in the heart of Copper Harbor puts you only minutes away from a variety of local attractions! 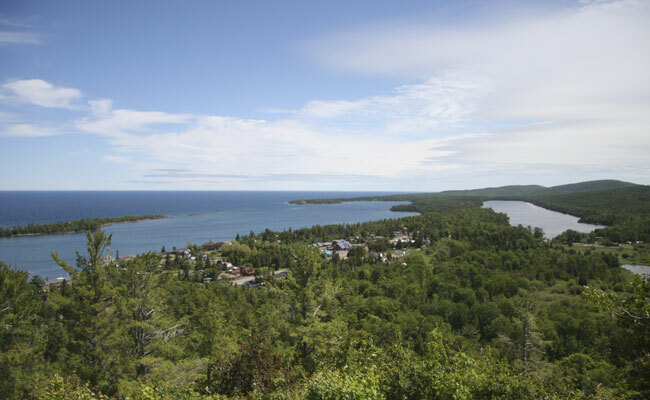 Get out and explore our beautiful area. 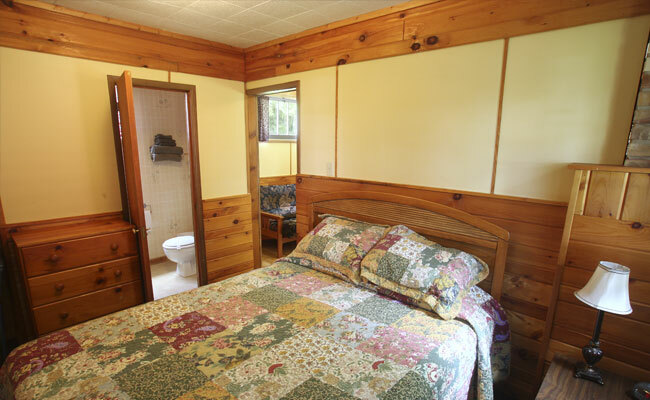 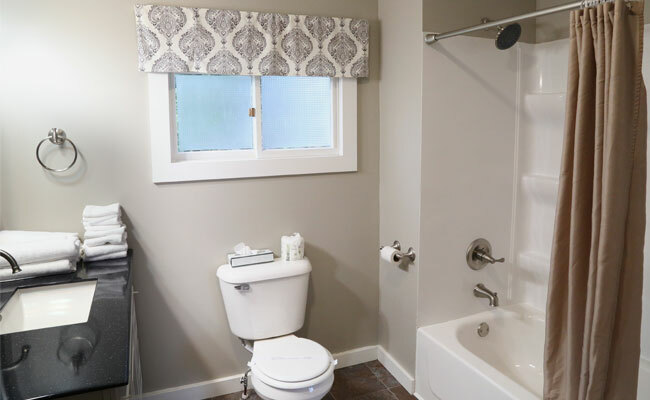 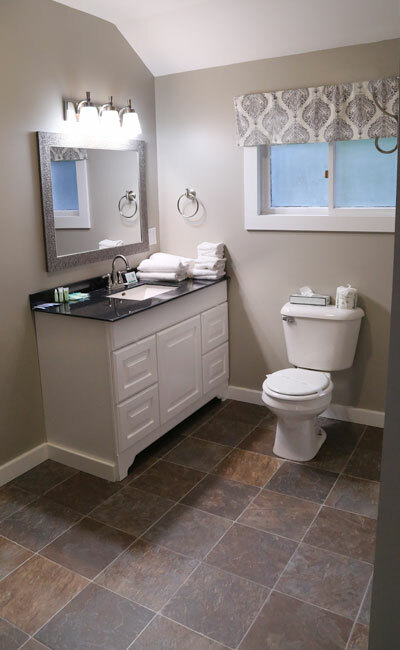 We'll be here when you're ready to take a load off! 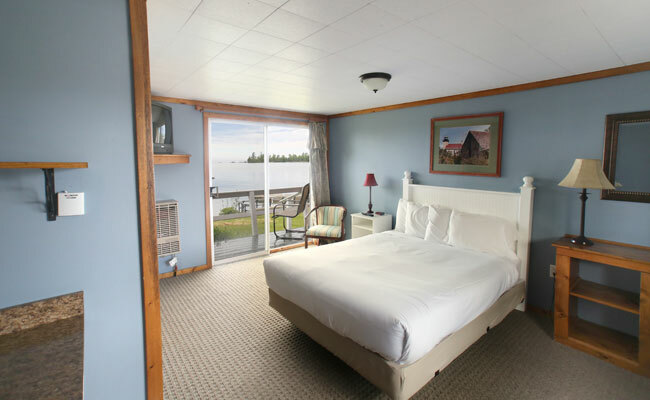 Isle Royale House has nine total rooms. 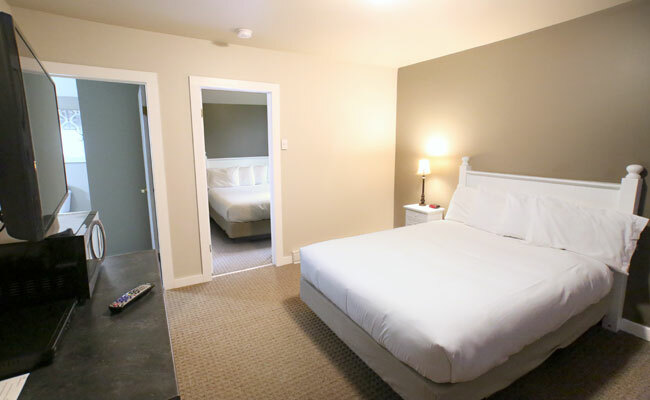 For room sizes and additional information, see our rates page HERE.